Asthma is a chronic inflammatory disease of the airways characterized by airway hyper reactivity and inflammation, bronchoconstriction and mucus hyper-secretion. With the rising pollution levels, cases of asthma are on the rise. Asthma is associated with considerable patient morbidity, a diminution in productivity and increase in health care utilization. Acute severe asthma or status asthmaticus is defined as a prolonged episode of severe asthma that is unresponsive to initial standard medical therapy and may lead to respiratory failure. The episode may be rapid in onset (in a matter of hours) or more typically progress during several hours to days. The former is referred to as asphyxic asthma and occurs in a minority of cases. The estimated prevalence of asthma in India is 2468 per 100,000 population. 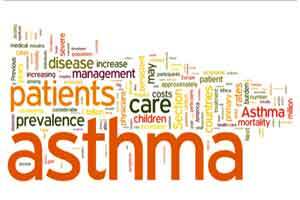 Prevalence of acute asthma in age group 15-59 was found to be 40 per 1000,000 populations in India. Prognosis of asthma in general is good but 10-20% of patents continue to have severe attacks throughout their lives. Approximately 10% of patients hospitalized with asthma are admitted to the intensive care unit and 2% are intubated. Mortality rate ranges from 0.5-3% in hospitalized patients. Morbidity and mortality from asthma disproportionately affects the economically disadvantaged, due to prehospital factors such as access to health care, inadequate preventive therapy or delay in seeking medical treatment. Rapid onset asthma is often triggered by exposure to allergens, irritants, exercise, psychosocial stress, and inhaled illicit drugs. It may also develop after exposure to aspirin, non steroidal anti-inflammatory drugs, or beta blockers in susceptible individuals. Asthma attacks may be triggered by viral or atypical pulmonary infections. Proper counseling regarding prevention of allergen or precipitating factors should be done. Compliance with anti asthmatic drugs should be ensured and education in its proper use should be done. Early consultation with physician during acute attack is advocated. Peak expiratory flow rate (PEFR) is an objective measure of airflow obstruction: <30% of baseline/predicted would indicate likelihood of respiratory failure. Initially check every half hour to assess response to therapy. SPO2: Hypoxia is usually correctable with supplemental oxygen. Refractory hypoxia should trigger search for pneumothorax, atelectasis, pneumonia or occult sepsis. Chest x-ray; To rule out pneumothorax, look for degree of hyperinflation, or any lung infiltrate suggestive of atelectasis or collapse consolidation. Oxygen supplementation is continued to keep Spo2 more than 90%. Nebulized salbutamol 2.5 mg (0.5 ml of 5% solution in 2.5 ml saline) or levosalbutamol, repeat every 20 mins for 3 doses then less frequently dictated by patent’s clinical response. More frequent and even continuous nebulization of salbutamol at a dose of 10 to 15 mg can be used within limits of toxic effects such as tachycardia and tremors. Cortcosteroids should be initiated at the earliest to prevent respiratory failure.. The usual doses are: Inj Hydrocortisone 100 mg every q 6 hourly or methylprednisolone 60-125 mg q 6-8 hourly. Oral prednisolone 60 mg is equally effective. Aminophylline may be used as a second-line agent although its role is much debated. A loading dose of 5-6 mg/kg is followed by a continuous infusion of 0.6 mg/kg/hr. Avoid loading dose in case patient has been on oral theophyllines earlier. Antibiotics are not required routinely in bronchial asthma exacerbation and should be given only if there is evidence of infection. Quinolones or macrolide may be used only if there is evidence of infection, though most of these are viral in origin. The following patients should be referred to higher centre as they have a probability of developing respiratory failure and respiratory arrest. Severe work of breathing and fatigue. Non-Invasive Ventilation: inspite of medical treatment if respiratory status worsens NIV may be tried as a temporizing measure. IPAP reduces work of breathing and EPAP overcomes auto PEEP. Extended trials of NIV may be warranted if the sensorium and patient comfort are improving. NIPPV is more useful in patients with COPD; there is limited data on its use in acute severe asthma. Monitor respiratory rate, SPO2, heart rate and blood pressure continuously. Reassess every 30 mins until patient is stable and comfortable. Nursing attendance should be continuous. PCO2> 55 mmHg and Ph < 7.28. However more than the absolute values the general appearance and degree of distress and fatigue of the patient are important. Sedation and paralysis: At the time of intubation short acting sedative or anaesthetic such as ketamine, propofol or midazolam and short acting neuromuscular blocking agent (succinylcholine or rocuronium) are used. For maintenance of sedation to assist MV midazolam/ propofol infusion can be used. Neuromuscular blocking agents should be avoided as infusion to prevent critical illness neuropathy. Pplat (plateau pressure) reflects PEEPi or dynamic hyperinflation and should be kept < 30 cmH2O. Peak airway pressure reflects only proximal airway pressure and is generally high.  Magnesium sulfate 2gms infusion over 20 mins can also be tried in refractory cases although its role is unproven. Once the airway resistance decreases as reflected by decrease in Pplat and hypercarbia, spontaneous breathing is then allowed by discontinuing paralysis and deep sedation. The patient is given spontaneous breathing trials with a T-piece or low CPAP (equal to or less than 8 cm H2O). After 30 -120 mins, if the trial is successful the ventilator is withdrawn. In the event of failure of the trial, the patient is placed on assist-control or Pressure support modes. While on spontaneous breathing a PEEP of 5-8 cmH2O may be applied to reduce inspiratory threshold load imposed by PEEP. Further attempts at liberation are carried out after 24 hours to allow for return of diaphragmatic function. Supportive Therapy. Adequate DVT prophylaxis and stress ulcer prophylaxis is mandatory in these patients. Adequate nutrition support with less carbohydrate proportion to decrease CO2 production in COPD patient is desirable.